This Vietnam family tour is ideal for families with children of all ages. The rich culture of Vietnam will enchant and delight you on this family friendly journey through the main sights this incredible country boasts. Starting in the north explore the colonial capital of Hanoi by cyclo, before you head out to the unimaginable beauty of Halong Bay to experience a night aboard a traditional Junk, where you get the chance to explore some of the hidden lagoons and secret beaches by kayak. Returning from the bay you continue to Ky Son, a beautiful spot to enjoy rural Vietnam. From here you will head on to central Vietnam, and explore the multi-cultural town of Hoi An. A short flight brings you to pulsating Saigon and finally some time to explore the backwaters of the Mekong Delta. The palm-fringed riverbanks along the Mekong Delta are picturesque, an image out of a storybook. At the end of the trip, you will agree this is truly one of the best Vietnam tours for families for you to explore, enjoy, and from which to create everlasting family memories. Arrival in HANOI, home to the vibrant capital of Vietnam and much more. You are picked up by your local guide then transported to your hotel for check in. The city showcases superb French architecture from its colonial days, with large tree-lined boulevards and low-built mansions and houses. The flavor of the city combines its past and present into a delicate mixture of cultures, from the food to the city’s design. Depend on your arrival time, some soft sightseeing can be arranged. Visit the Museum of Ethnology which gives you insight into the variety of ethnic groups within the country, dedicated to the heritage and preservation of socio-cultural diversity. The building carries on its back a modern construction and character which takes great care to keep the proud displays of traditional culture and the collection of diverse tribal material approachable. Step inside and witness from art to artifacts, and everyday objects, that are often unknown cultures residing within the hills. You will become connected to a heritage you may have not even known, within colourful, geometric textiles and intricate jewelry. Wander through the courtyard that houses a small stream and little bridges and where you will come upon traditional homes, including a house on stilt of the Tay ethnic minority. Strong wooden pillars hold the thatched roof and open windows offer a refreshing cross breeze. NOTE: The Museum of Ethnology is closed on Mondays. Return to the Old Quarter, then stroll through the narrow alley then be immersed with a strong Vietnamese coffee at a café overlooking Hoan Kiem Lake - an important symbol of Vietnamese folklore. Head back to your hotel then rest. Morning is the time the quiet streets of the evening start to percolate once more and the city gets its energy back. Start the exploration of Hanoi to gain an early appreciation for its vibrancy. Visit monumental Ho Chi Minh Mausoleum which houses the embalmed body of the communist leader in a glass coffin then the wooden stilt house where the president Ho Chi Minh resided in his later years. Ho Chi Minh himself, a spartan-living and scholarly man, chose not to live in the Presidential Palace; he preferred instead a simple teak stilt-house specially built for him in the grounds. Nearby you can see the One Pillar Pagoda, founded by fatherless King Ly Thai Tong in 1049 and Temple of Literature was Vietnam’s first university. 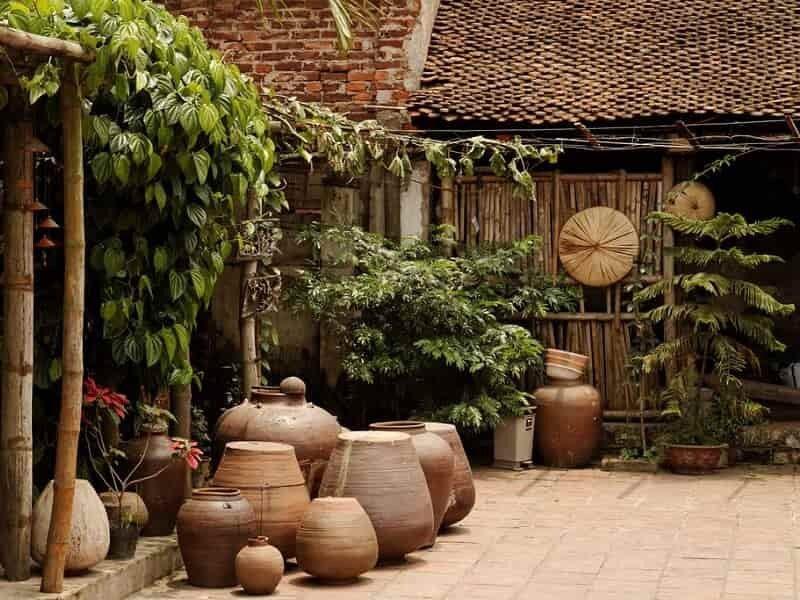 Drive along the Red River Delta to visit Bat Trang Pottery Village, located just east of Hanoi. Famous for its blue and white pottery, the production of ceramics is very much a community-wide profession here and the main street is lined with pottery shops. Embark on a buffalo cart ride through the villages, visiting a workshop where items can be hand painted and brought home. Return to Hanoi for lunch. After lunch, head to Truc Bach Lake to enjoy a “swan paddle boat then ”taste some to Hanoi’s best ice cream – the legacy of the French in Vietnam. 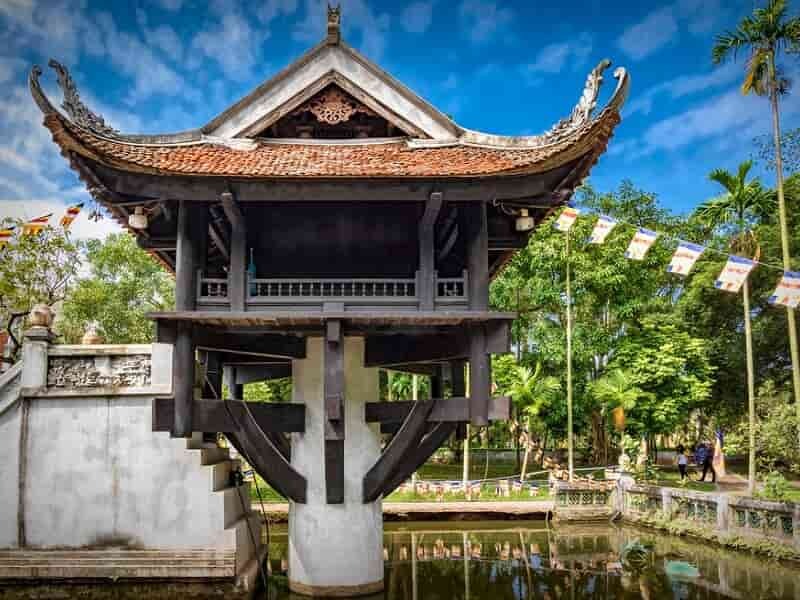 If the time permits, follow your guide to the 11th century Tran Quoc Pagoda, Hanoi’s oldest Buddhist temple, originally built in the sixth century, and the Taoist Quan Thanh Temple. This evening watch a traditional water puppet show, a uniquely northern Vietnamese art form especially designed for depicting scenes from rural life and episodes of national history. 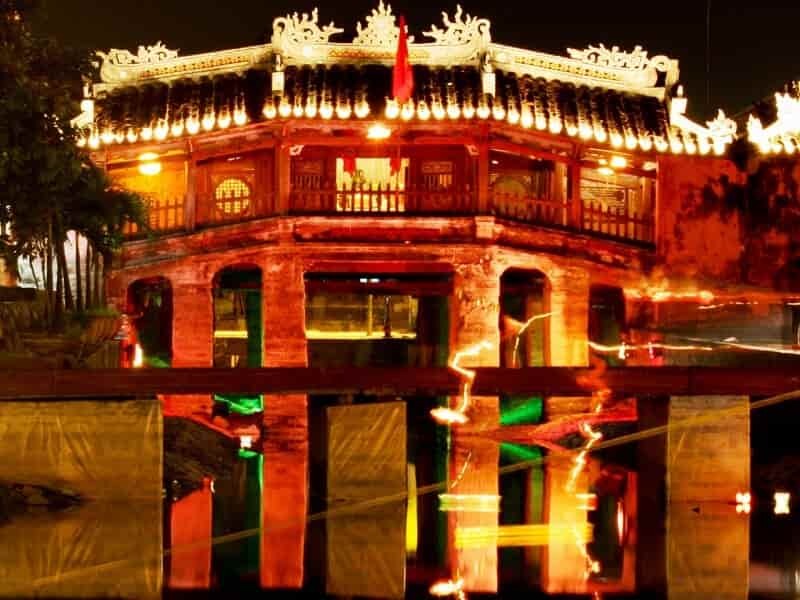 The city boasts a millennium of history, from temples to ancient citadels, where you can sit at the Thang Long Water Puppet Theatre and witness a sample of the North Vietnamese culture in action. Dating back to the 11th century, this is a uniquely northern Vietnamese art form especially designed for depicting scenes from rural life and episodes of national history, rising out of the culture of flooded paddy fields and a need for entertainment, villagers would stand waist-deep in the water and let the puppets dance along the surface. 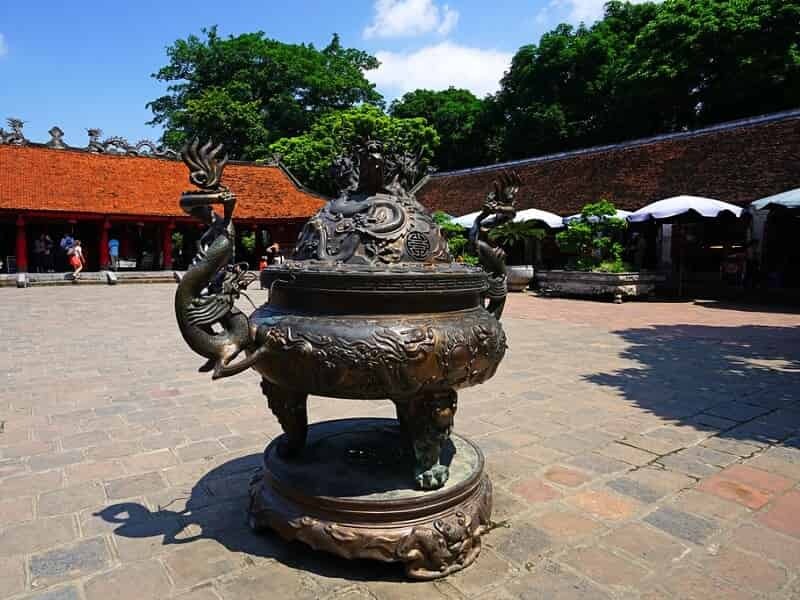 Many shows feature the celebrated legend of Hoan Kiem Lake and the giant tortoise, showing you an imaginative world of myth, history, tradition, and the modern city’s connection to its roots. After breakfast, depart for the 4-hour drive to the remarkable HALONG BAY. 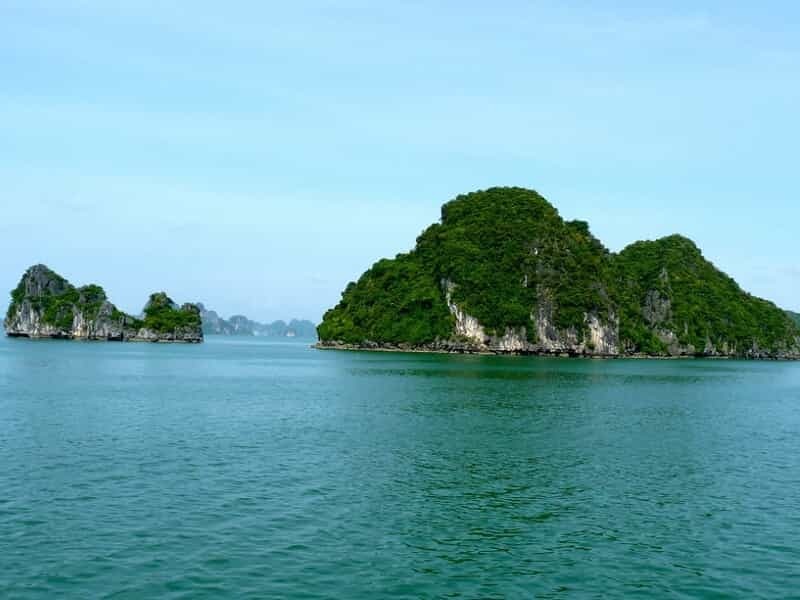 The bay sits on the Gulf of Tonkin and is known to be one of the most stunning landscapes in Vietnam, where the emerald water shines beneath the towering limestone karsts. The name ‘Ha Long’ means ‘Descending Dragons’ and owes its origins to a Vietnamese myth. There are more than 1,600 limestone islands and islets with different shapes jutting out from the sea. Arrive at the Halong Bay jetty around noontime and proceed with check-in formalities before embarking on a boat for an unforgettable overnight cruise on Halong Bay. Lunch of Vietnamese food is served while cruising towards the bay itself. In the afternoon you will venture into Surprise Cave. Found on Bo Hon Island, Surprise Cave, also known as Sung Sot Cave, is located on a steep path beneath overhanging trees. The scent of hard earth mixes with the rich soil and the sea. Step into the large grotto to see the generating colors that blend and sparkle along the interior rocks. The slick walls look as though they have melted and dripped down from the ceiling in places. You understand where Surprise Cave gets its name as you wind deeper through the cavern, knowing that the surprise is the awe of the landscape. The scent of fresh brewed coffee rouses you from sleep. Wake up early to enjoy a memorable sunrise over the karst formations of Halong Bay. Watch the mist disappearing over the cool air of the sea where the karsts become suddenly visible and the water’s bejeweled color begins to shine again. After that, enjoy the delicious breakfast while the junk cruises back towards the port through more limestone formations. Upon arrival to port, disembark and being transported back to HANOI, followed by a 1-hour drive northwest of Hanoi to KY SON. Enjoy free time to luxuriate in stunning natural surroundings. Relax in a garden hammock, take pictures in traditional Vietnamese garb or fish until dinner! Wake up early to join in Yijinjing exercises and traditional Vietnamese worship customs honouring ancestors with morning rituals. After breakfast, take a leisurely bicycle ride or casual walk to discover the Ky Son, Tam Son and Van Minh Farming Communities. Stop for tea at a local house and chat with locals about their daily life and farming. There are several activities you can help the local with such as: plowing, making rice beds, transplanting seedlings or harvesting rice, cassava, corn, or sweet potatoes depending on the harvest season; collecting tea and medicinal herbs to use back at the home stay. Next, head into the kitchen for a relaxing cooking class. Take the guidance from the chef then learn from the proprietress how to make sumptuous Vietnamese food and enjoy it later for lunch! 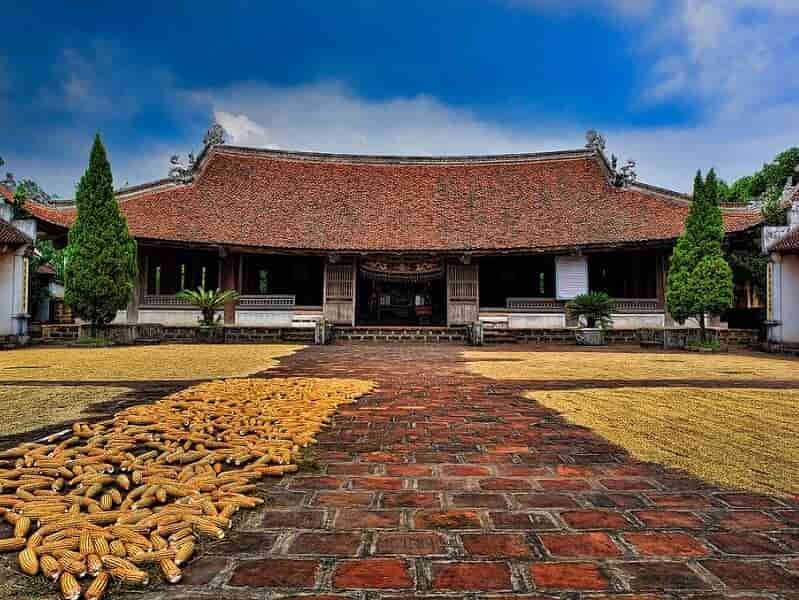 After lunch, drive or cycle 4 km to Duong Lam Ancient Village to explore an intact traditional ancient village. Continue on to Mia Pagoda, explore small hamlets and slowly wend back to Ky Son. Return to the homestay for happy hour trying local tisane and a traditional steam bath with the fragrant herbs gathered before dinner. After breakfast, wander around to feel the tranquility of Ky Son before being transported back to the Hanoi Airport for the quick flight south to central city of Da Nang. 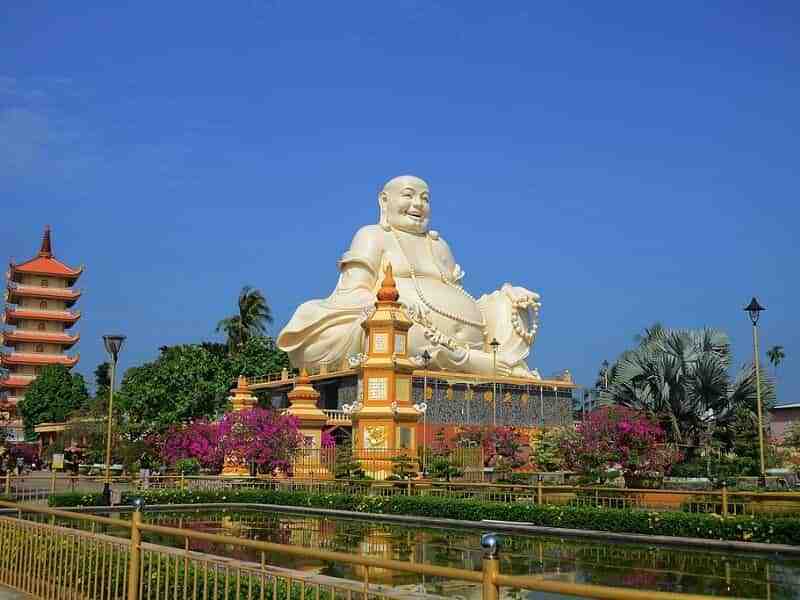 Arrive in DA NANG, a city of vast differences, where the past continues to dazzle amidst a stretch of new, opulent skyline, pay a visit to the Cham Museum, which exhibits the finest collection of Cham sculptures in the world. The artifacts range from icons to statue that overtake the open spaces of a French Colonial building embellished with Cham artistry. Dragons, Vishnu, and Ganesha can be seen engraved in stones that have been found throughout the countryside of what was once a strong kingdom. In late afternoon, your local guide and driver will transport you to the hotel in HOI AN, a major Asian trading port in the 17th and 18th centuries for check in. After a morning of exploration, head back to Hoi An. There is a unique opportunity to stop for a visit to Tra Kieu, the capital of Champa Kongdom between the 4th and 8th centuries. Some of the finest sculptures in Da Nang’s Cham Museum originated from here. Upon returning to Hoi An, take a walking tour of the ancient town to visit former merchants’ houses, the 400 year-old Japanese Covered Bridge, a Chinese communal hall and the colorful market. After the tour, enjoy some time at leisure exploring the old town. Savor the flavors of breakfast within the traditional tastes of the region set beside the riverbanks. transfer to Da Nang Airport for the short flight south to HO CHI MINH CITY. Upon arrival, your guide will be awaiting to provide the transport to hotel for check in. 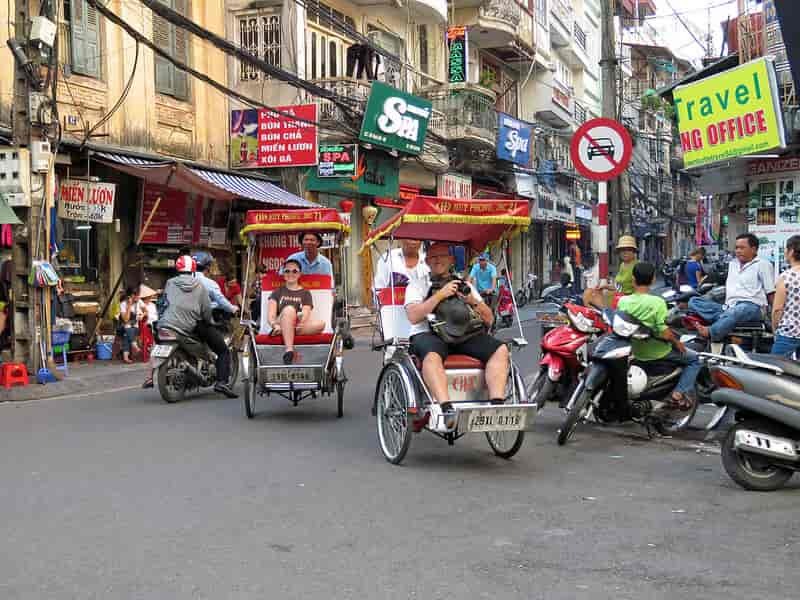 The city once known as Saigon continues its whirling energy, filled with vitality that carries you along for the ride. Begin with a visit to the Reunification Palace, formerly known as the Presidential Palace. From the palace, stroll to the other major sights of colonial Ho Chi Minh City: the elegant 19th century Old Saigon Post Office, elegant artistry of the Cathedral of Notre Dame, Dong Khoi Street (formerly Rue Catinat), Opera House. The palace was also where the Vietnam War concluded in 1975, when a Communist tank of the North Vietnam crashed through its gates. After this historical visit, continue to the War Remnants Museum where exhibition halls display imagery of both the French and ‘American’ wars, followed by a visit to the Jade Emperor Pagoda located on the fringes of District 1. Return to the hotel then have a rest. After having experienced the frenzy of Saigon by day, discover the lively local street tour by night. Join the locals then have chance to sample authentic Vietnamese food. Start the tour around 1830 and try “banh xeo” which is a large rice pancake filled with vegetables, shrimps and pork. The second stop will be made at the Tan Dinh Market for street food with a delicious local soup inspired by Chinese recipes. Next, it is time for a tasty “com suon non nuong muoi ot”, a local dish with rice and pork ribs. Cross a busy intersection, indulge yourself with a delicious dessert and a Vietnamese coffee. Wrap up the experience at a live music café playing traditional Vietnamese songs. 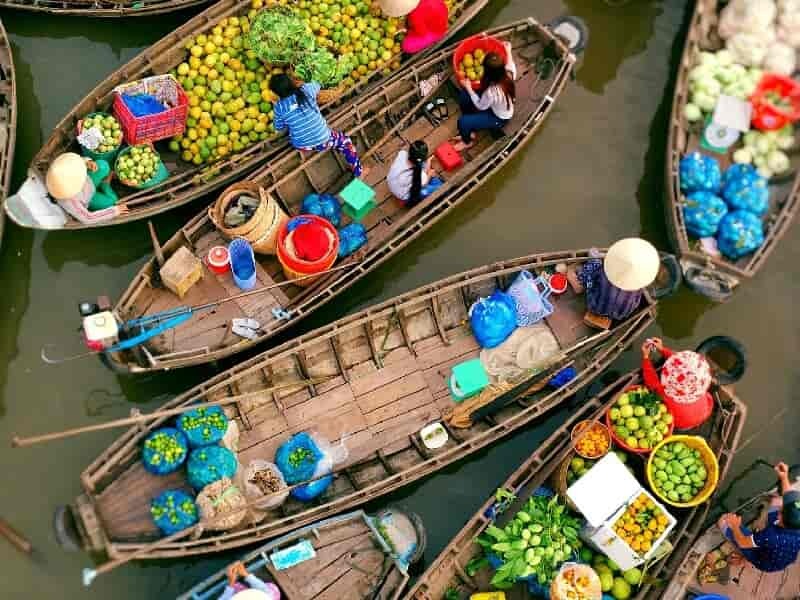 This morning depart the bustling Ho Chi Minh City then embark on an excursion to the Mekong Delta Region, often referred to as ‘the rice bowl of Vietnam’. It takes you 2 hour drive to reach CAI BE in Tien Giang province. Upon arrival, board a local vessel for the day’s cruise in the delta’s waterways, stopping to visit a small handicraft factory on Turtle Island and to visit a tropical fruit orchard. There is also a chance to visit a cottage factory where ‘pop-rice’, rice paper and coconut candies are made. Later we will take a horse-drawn cart ride along country roads, admiring the scenery and the daily life of the local villagers and enjoy a taste of the locally-produced honey, and explore the Xep Canal by boat. Lunch will be served in the local Mekong style with specialties of the area. After lunch, pay a visit to the Vinh Trang Pagoda, surrounded by beautiful gardens, in My Tho Town, before heading back to Ho Chi Minh City. Wrap up your Vietnam Family Adventure Tour today. 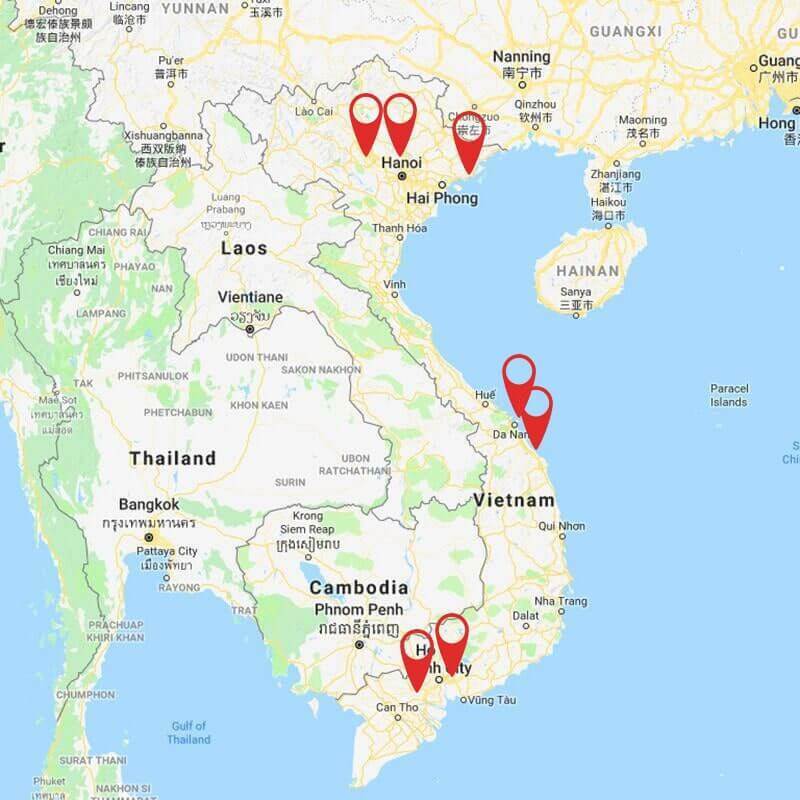 You have visited all the best highlights of Vietnam in just a short time of ten days, from picturesque landscape, tranquil villages, tasty food and cuisine to iconic museums within a culture that was once foreign but is now familiar and endlessly friendly. Laid back until your private transfer will ferry you to the airport where you will catch your return flight home. For additional tour options, read about other family tour packages offered by Asia Senses Travel. For traveler experiences, read the Vietnam tours reviews.